Nature Doesn't Legislate - Ray Greene & Friends has been added successfully to your wishlist. 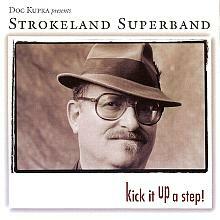 Stephen 'Doc' Kupka called on former Tower of Power lead vocalist Ray Greene for this great new collection of songs. As Ray Greene departs Tower of Power to serve as vocalist for Santana, NATURE DOESN'T LEGISLATE gives Tower of Power fans one more opportunity to hear his great vocals in the East Bay Soul setting. 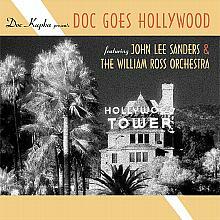 Teaming up with songwriting partners, William Ross, Nick Lane, Emilio Castillo, Roger Smith, Mike Finnigan, Johnny Lee Schell, and Lamont Van Hook, Doc Kupka delivers with a diverse collection of soulful songs that showcase Ray Greene's vocal talents and the stellar band assembled for the project. 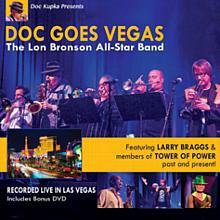 The tighter-than-tight rhythm section is comprised of former Tower of Power members Carmen Grillo (guitar), Herman Matthews (drums), and Ray McKinley (bass), plus studio ace Chris Caswell (keyboards), who also worked on DOC GOES HOLLYWOOD. The smoking horn section consists of former Tower of Power member Lee Thornburg and Dan Fornero (Brian Setzer, Tom Jones, Phil Collins) on trumpet, Joe Sublett (Elton John, Bonnie Raitt, B.B. King, Little Feat) on tenor sax, first-call studio player Nick Lane (Maynard Ferguson, The Who, Chicago) on trombone, and the Funky Doctor, Stephen Kupka on bari sax. 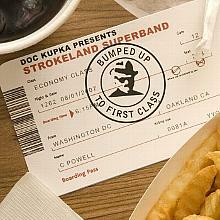 The songs cover a wide territory stylistically and, of course, deliver a lot of Doc's trademark East Bay Soul style, but also vary to even include Doc's first released Christmas song, "Christmas is For Kids", a request made by his fans for many years. "Nature Doesn't Legislate", the title track, is a funky, soulful warning to take care of our planet, in the vein of "Only So Much Oil in the Ground". "I Guess the Old Folks Were Right After All" delivers a spot-on Randy Newman-style feel, and "I'm So Happy She Said Yes", "Do I Qualify", "That's What You Mean to Me", and "Must Have Been an Angel" deliver as powerful, soon-to-be-classic ballads. "Better But Not Good", "Virtual Reality Heaven", "When I Say We, I Mean You", and "Downbeat on an Upbeat Swing" bring the funky grooves and the tongue-in-cheek "Football After Church" is a tribute to the great American tradition loved by so many. There are currently no reviews for Nature Doesn't Legislate - Ray Greene & Friends, but you can be the first!